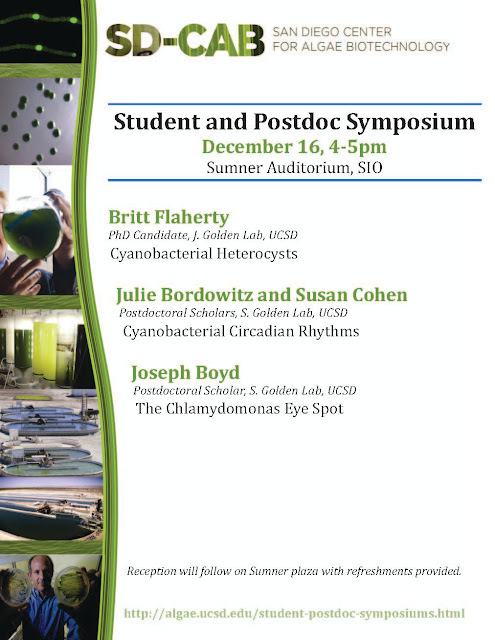 We are pleased to present this month's Student and Postdoc Symposium, chaired by Dr. Jim Golden. Visitors should park along La Jolla Shores Dr. (please see the attached map). 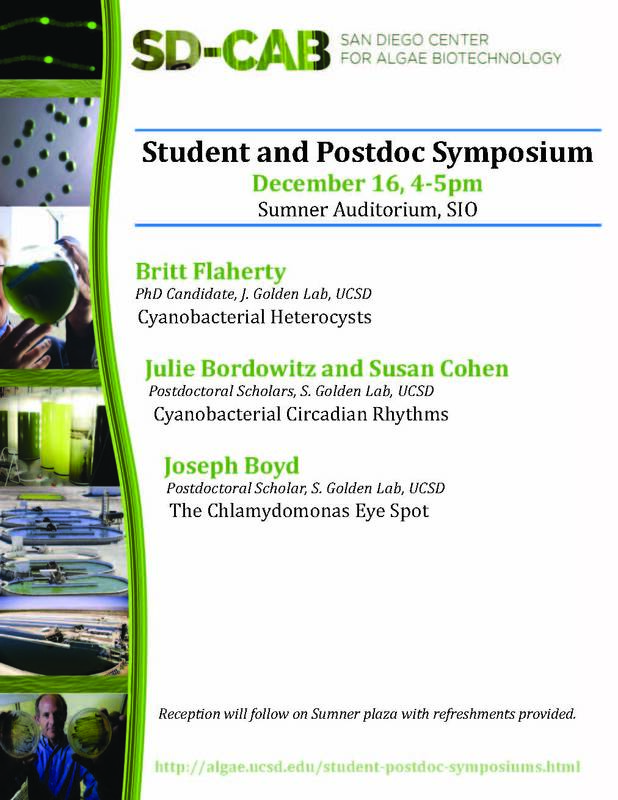 A poster for this event is below. Please feel free to share it with your friends, co-workers and post it in your buildings to help us spread the word.